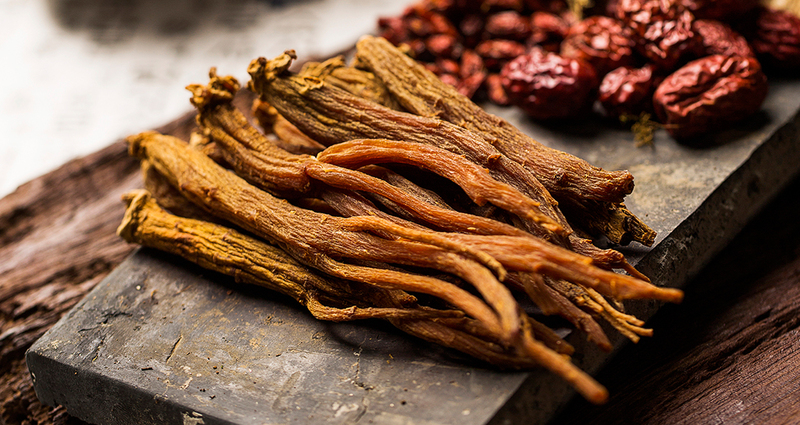 KOREAN GINSENG (Panax ginseng C.A. Meyer) is a medicinal plant that is native to the Far East Region in Asia. Due to its botanical demands and features, it is challenging to grow it in any other area rather than its native one. Therefore the fact that Korea is its natural environment means it has the optimal conditions for it to grow, and as its name gives away its origin, it is becoming well known through out the world. KOREAN GINSENG (Panax ginseng C.A. Meyer) is not just different from all the others, the ones grown in America, the western ginseng or the Chinese ginseng but the fact that it is geographically originated from its natural optimal environment says it all. The growth of Korean Ginseng lasts 180 days longer than any other ginseng in the world, which explains he solid and dense structure, as well as being able to retain the natural fragrance for a long time. KOREAN GINSENG (Panax ginseng C.A. Meyer) contains 60 to 60% of carbs but also has components that are not found in any other plant or vegetation. From ginsenoside, polyacetylene, antioxidant aromatic compounds, gomisin -N, -A, and acidic peptide which is similar in composition to insulin. Especially with the non-saponin components KOREAN GINSENG (Panax ginseng C.A. Meyer) has a larger amounts of phenolic and polyacetylenes, these are known as antioxidants and cancer cell inhibitors, than American Ginseng. The saponin in Ginseng, is known as ginsenoside which is the main medicinal component in our Ginseng but this in particular has a different chemical composition in comparison to the ones found in other plants. Depending on the natural chemical structure of ginsenoside, we can classify them as protopanaxadiol (PD) system, protopanaxatriol (PT) system, and oleanane system saponins, and as of today, 19, 10, 1,type have been properly isolated and purified. 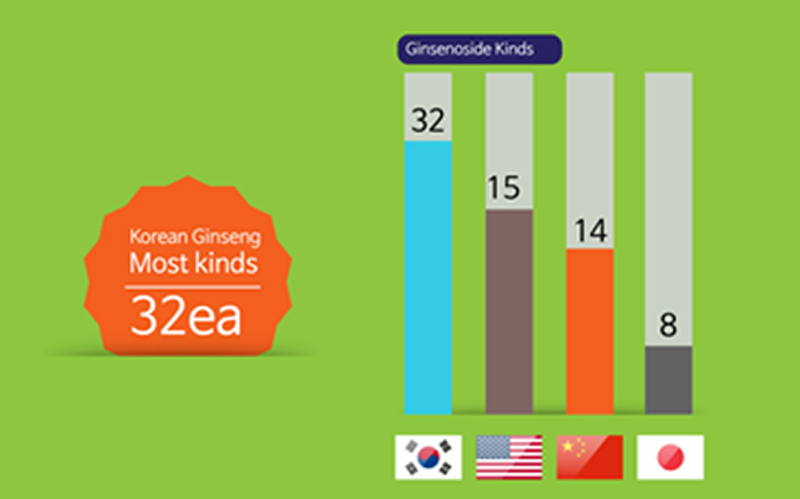 Korean ginseng contains 30 types of saponins, 14 for American ones, and 15 for Chinese ones.